Dare to unravel the war against ‘the God-life’ in you? Who is the ‘Old Man’? HAVE YOU BOWED OUT THE ‘OLD MAN’? Take the Program as a Self-Study in the comfort of your own home, behind your laptop or computer, or with your smartphone in hand; just you and the Holy Spirit. (See below for information on how to take this Program as a Self-study but with a Group*). Are ya ready? Click Buy Now! Take the Program with me by your side. I will personally coach you through your journey to unravel the war against the God-life in you. PRICE: $630.00 per person (= $70.00 per person per session). Are ya ready? Click here to fill in the request form. Pull together a group of 4 to 8 people (max) and take the Program together. I’ll be by your side, personally coaching you and your group through your journey to unravel the war against the God-life in you. PRICE: $540.00 per person (= $60.00 per person per session). 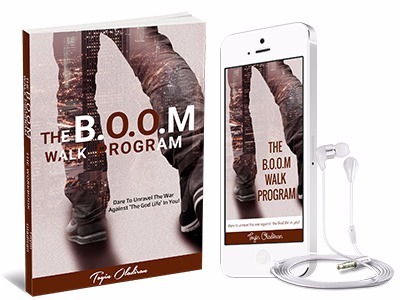 I love taking short, punchy doses of The B.O.O.M Walk Program to churches, fellowship groups, meetings and the like. Invite me to give a Workshop at a venue of your choice, to an audience of your choice, and I will tailor the Program to suit your specific needs. ★ A tailored workshop ★ All Program Materials listed below ★ A 10% Program discount for workshop attendees who enrol for any of the other packages of The B.O.O.M Walk Program or any of my other Coaching Programs. *These package offerings are available seasonally. Fill the request form for the package you prefer and I’ll get back to you. If you cannot afford the package price, fill out the relevant form anyway and request a discount/fee waiver. I recommend the Self-study Group package. The B.O.O.M Walk Program is best experienced if you take it with a small group of 4-8 like-minded darers who you can be accountable to, learn and grow with. Why not pull together a small group of people and do the Program as a group self-study? N.B: Each group member should purchase an individual Program pack in order to get access to all Program materials. The Group Leader is entitled to a Leader Kit containing instructions on how to run the group, discussion starter points, and setting the tone for the group etc. Are ya ready? Click Buy Now to purchase the Program Package (one for each person in the group). After you have paid for the Program (and for your group members) please contact me to register your Group with me and to request your Leader Kit. This Program was a spiritual searchlight for me. It rejuvenated my passion for living solely controlled by God’s Spirit Want to assess and escalate your fervent love for God? Take this Program! I thought this Program would be more of an ‘academic exercise’ for me. Was I wrong! The issues touched on here were familiar. I saw traits of the “old man” in my life and I began dealing with them. 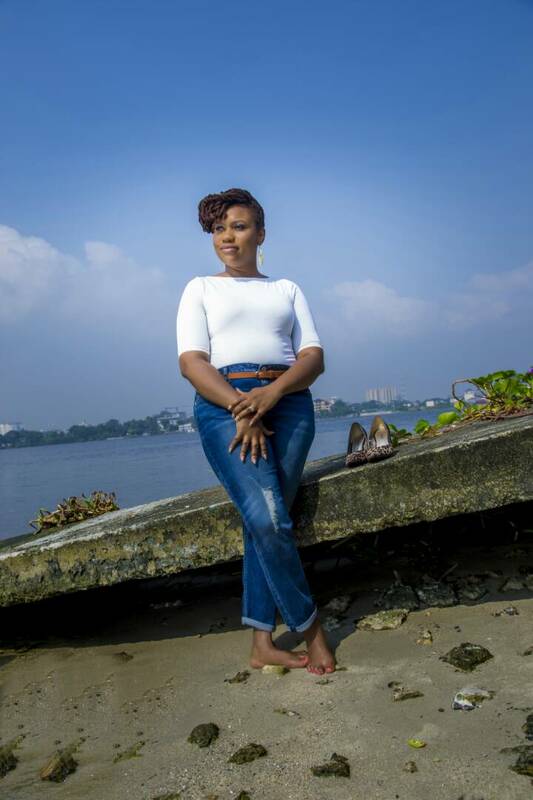 Toyin’s passion to encourage Christians to be alert and intentionally “Bow Out the Old Man” (B.O.O.M) is so evident!